Apple’s September launch event has concluded and they have launched the new iPhones. It is interesting to see that since last year, they have come up with a strategy of launching two phones instead of one. Last year it was iPhone 5S and 5C. This time around it is iPhone 6 and iPhone 6+. The phones have increased in size dramatically and with iPhone 6+, Apple has finally taken the phablet bite as well. 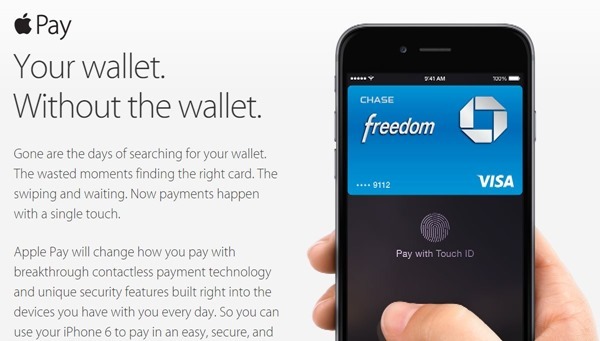 Apple also launched Apple Pay that is to revolutionize the payment process (at least in US for now). Another big update from the event was the launch of Apple watch. This is another product that was almost certain to hit the market this time around. The wearable accessories have become the next frontier for companies as innovation in phones have started to reach stagnation. 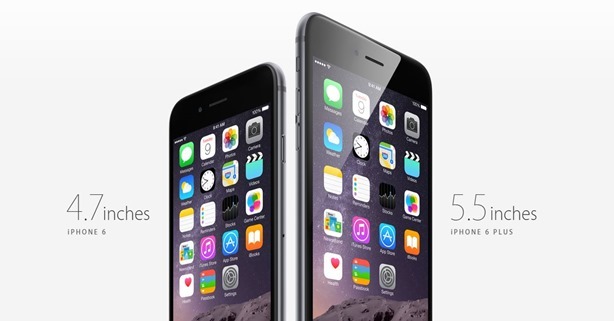 iPhone 6 is the traditional upgrade on iPhone 5S. It has a screen size of 4.7” and the resolution is now at a respectable 1334×750. On the other hand, iPhone 6+ has a 5.5” screen and a Full HD resolution (1920×1080). Despite the increased screen size of the phone, the thickness has been reduced from 7.6mm in iPhone 5S to 6.8mm in iPhone 6 and 7.1mm in iPhone 6+. This increased size has given Apple more screen estate to play with. Even the keyboard has gotten extra keys in horizontal mode. The processor has improved 20% from iPhone 5S. Also, the graphic performance has increased to 50% from iPhone 5S. This is a good speed bump. However, due to increase in screen size, I am not sure if this would be distinctly visible. Then again, user experience will not be affected as that is one place where Apple doesn’t compromise (leaving out Apple Maps). The gameplay of VainGlory was shown to showcase the prowess of the A8 chipset. This should be one of the fastest processors in the market. Apple also launched iOS8 officially with the new phones. These new phones are going to be launched on September 17th in US and by the end of the year should be released all over the world (115 countries). Also, the price of iPhone 5C and 5S has become $0 and $99 with contract. Yes, and if you are wondering, iPhone 6 will come to India on September 26th! Now coming to Apple Pay. The method uses NFC to make transactions through the phone. Apple uses the fingerprint sensor to great application here. This makes the whole experience much more secure. In case the phones are lost, you can suspend payments by find my iPhone service without the need to actually cancel the card. Users can add all their credit cards (including the photographs of the cards) in the phone. The whole system is also completely private and Apple won’t be collecting any user data (what was bought or at what price or location). This will work with VISA, MasterCard and American Express. Major banks and many merchants have been roped in so that Apple Pay works swiftly from the beginning. As I previously mentioned, this is just for US as of now. Coming to the final product launched at the event (Apple’s one more thing!). Apple Watch. It is a beautiful square watch. The screen is also rectangular but the UI is mostly circular. There are various types of straps as well to personalize the watch. With Apple Watch, Apple is introducing a new kind of user interface. Tim Cook mentioned that simple touch would not be a good experience on a screen so small (especially feature like pinch to zoom). Apple watch has a dialer called the digital crown. It can be turned to scroll a list or zoom in or out. Pressing it takes a person out to home screen. The touch screen is also present. The screen is sapphire and can also sense force. There are two screen sizes available in the watch. The watch charges wirelessly. The watch also has a lot of sensors in the back to take data from your body like heartbeat. This watch has been made to focus on the health apps. A whole lot of new gestures have been incorporated in the watch including press touch, scroll and swipes to make the user experience better. This is something great on Apple’s part. Instead of making a smaller iPhone, they have worked from the ground up. The watch also has preselected answer options for messages and you can dictate to the watch to send answers. Soon, we will be seeing people talking on their watches. Even Siri has been integrated in the watch. And it can be used as a Walkie Talkie. Apple Watch also brings a new way of communication. People can send drawings or even their own heartbeat to other users. There is also Watch kit, which will help developers make apps for the new device. This should open a plethora of applications and I see a lot of paid options where the app itself is free but an add on like Apple watch app is paid one. The battery should run for the whole day according to Apple. There are in all three models: Apple Watch, Apple Watch Sports, Apple Watch Edition. These watches work with almost all the new iPhones: iPhone 5, 5S, 5C, 6 and 6+. The price of the device is $349 and it should be launched early next year. In the end, Apple did something more unexpected and along with U2, they have launched a brand new U2 album- “Songs of Innocence” to all iTunes users for free. With this, they have all but ensured that U2 enters the record book with the biggest album release of all time. All in all, the event was Tim Cook’s moment of glory. Apple Watch and the new iPhones are not Steve Jobs products anymore. They are Tim Cook’s. The watch is a great new product and if the product is nearly as good as it seems, Apple should have another best seller in their hands. For me, the biggest challenge for Apple will be to make it good enough for people to ditch their Android phones to buy the iPhones just so that they can use the watch. This is entirely possible and if that happens, Apple has truly succeeded in making a revolutionary product.